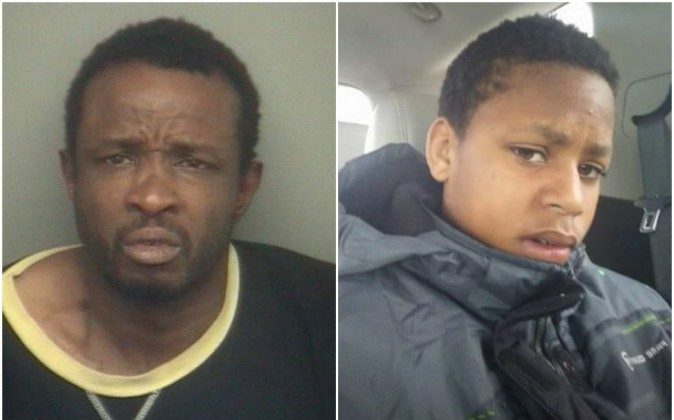 The body found on Detroit’s east side, just miles away from where 13-year-old Deontae Mitchell was abducted, has been identified as the missing teen. Mitchell’s remains were confirmed by his family, as well as the Wayne County Medical Examiner’s Office, which will also conduct an autopsy to find out exactly how he was killed, according to a Detroit Free Press report. Mitchell was last seen at around 10:30 p.m. on May 31. He had been out riding bicycles with his cousin when it was reported that he was abducted outside of a market on the city’s east side. The cousin told the Detroit Police Department that Mitchell had picked up money from a drunk man who had been urinating outside the market. Shortly after, Mitchell and his cousin left on their bikes, but as they were riding off, a black man driving a dark colored Chevrolet Impala with a loud muffler got out and abducted Mitchell at gunpoint. Police instantly issued an AMBER Alert and gained the help of the FBI. Later on June 1, police obtained footage showing the entire abduction, which shows Walker stopping and grabbing Mitchell, placing him into the dark colored Chevy. Just hours after releasing the surveillance video, Walker was found and arrested with an unidentified woman at a hotel in Toledo, Ohio. During the same press conference to announce the arrest of Walker and the discovery of body, police identified two more men believed to be involved in the abduction—Roy Portis and Ernest Coleman—who have since been arrested, according to Detroit police. According to the Free Press report, more than 100 law enforcement personnel have been assigned to the case, including: the Detroit Police Department, the FBI, Michigan State Police, Toledo Police Department, the Michigan Department of Corrections, and more.